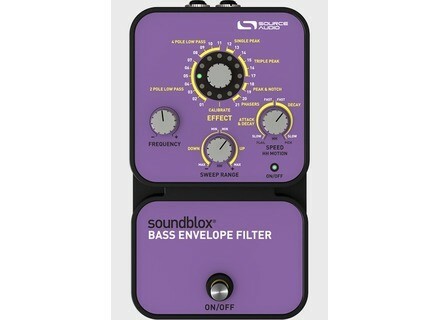 Soundblox Bass Envelope Filter, Bass Wah-Wah/Auto Wah-Wah/Filter from Source Audio in the Soundblox series. Source Audio is offering various discounts on some of their stompbox models for guitar and bass. This Black Friday, a few offers seem to be posted now and then on the brand's Facebook page. 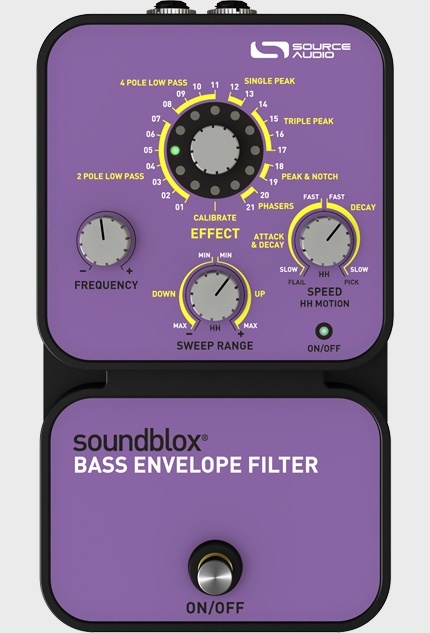 Currently, the Soundblox Classic Distortion is available for $49 (list price $99) and the Soundblox Bass Envelope Filter is available for $79 ($20 off), other discounted models may (or may not) follow. These deals are available through Monday, but only for people with a US mailing address. More details on Source Audio's stompboxes at the brand's webstore. ZVex releases Woolly Mammoth Vexter ZVex has released a Vexter version of its bass fuzz pedal, the Woolly Mammoth. Tech21 VT Bass 500 Tech21 presents the VT Bass 500, a 500-watt bass amp head based on a fully analog SansAmp preamp and class D poweramp. EBS releases Redmar 750 EBS has released its Reidmar 750 bass amp head, described as the "big brother" of the Reidmar line.